Grab a cup of tea and pull up a chair as Sylvie Granotier, author of The Paris Lawyer, shares what she's learned. Some stories need years to mature in an underground fashion. I’ve learned to let them run their course. I rarely take notes, believing that memory is a good filter for what really counts. When I know the story is ripe, I go to work. The first big decision consists in defining the point of view and the time structure. First or third person? One, two or more leading characters? Present, past or a mixture? I usually start with a rough sketch of the whole plot. It’s reassuring but will eventually change as characters come alive and start ruling some of the events. With few exceptions, I’m still in pajamas when I rush to my desk, fed but unwashed. I need my apartment to be in order, the washing up done and my teeth cleaned. I have set rules. During the first draft, I’m not allowed to leave my desk until I have produced four pages. It can be more, but never less. I need to go forward, even if the style is sketchy, the word choice poor, the outside information incomplete, until I reach the end the often comes as a surprise but helps me understand why I’m telling the story. The best part of writing can now start. I have all the ingredients, characters I believe in and who still intrigue me, a story that is complete and alive with its fully lit parts and mysterious areas and, most important, the general pace of the novel. It’s now a matter of editing, cutting what’s complacent, off topic, smart-alecky, verbose, choosing one adjective rather than three, tracking the fake and searching for the authentic, simplifying the sentences, etc. 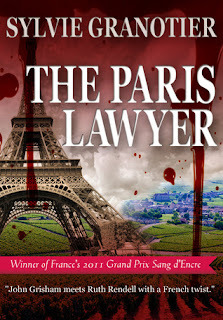 I’m an actress too and was chosen to be the reader of my own novel The Paris Lawyer for the French version of the audio book. It was enlightening in terms of pace and fluidity. I had always read aloud parts I was uncertain of. Now, I take the time to read the whole thing in two or three takes and find it helpful. I work from beginning to end three or four times, letting the novel rest in between. When I pick it up again, I have a fresh outlook. When you are too focused—with your head to the grinding stone—after a while, you don’t see clearly. One last difficulty is deciding I’m done. No book is ever as perfect as you hope it will be from the start. It’s a subtle balance between possible improvement and the risk of destroying it by targeting an unreachable objective. Being demanding is essential, remaining modest vital. In this, as in many other areas, I’m forever indebted to Grace Paley. Translating her stories in French and meeting her was one of the best presents life ever gave me. Her work and her person are a constant inspiration. Once I feel I’ve reached my limits, I deliver the novel to my publisher. That’s the second round when I’m not alone any more, which comes as a great relief. Being approved, having a set date and working on final improvements is paradise. Doubts come later, but that’s another story. One last thing, I never hesitate when the going gets rough to encourage myself with treats: if I get my pages done, I can go see a film in the afternoon, buy myself a little trinket or go ride my bicycle aimlessly through my beloved city, Paris. 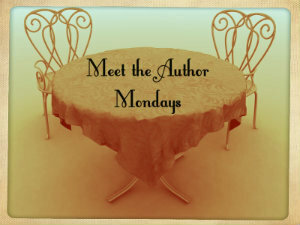 Author, screenwriter and actress Sylvie Granotier loves to weave plots that send shivers up your spine. She was born in Algeria and grew up in Paris and Morocco. She studied literature and theater in Paris, then set off traveling—the United States, Brazil, Afghanistan, and elsewhere, ending with a tour of Europe. She wound up in Paris again, an actress, with a job and some recognition. But she is a writer at heart, and started her publishing career translating Grace Paley’s short story collection Enormous Changes at the Last Minute into French. Thirteen novels and many short stories later, Sylvie Granotier is a major crime fiction author in France. 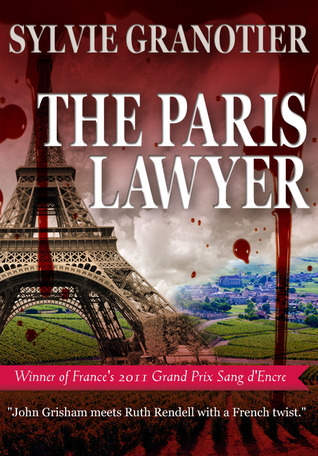 Her The Paris Lawyer (http://www.theparislawyer.com), a legal procedural that doubles as a psychological thriller, was recently published in English by Le French Book (http://www.lefrenchbook.com). Sylvie splits her time between Paris and the Creuse, in central France. It's Monday, again! What are you reading?